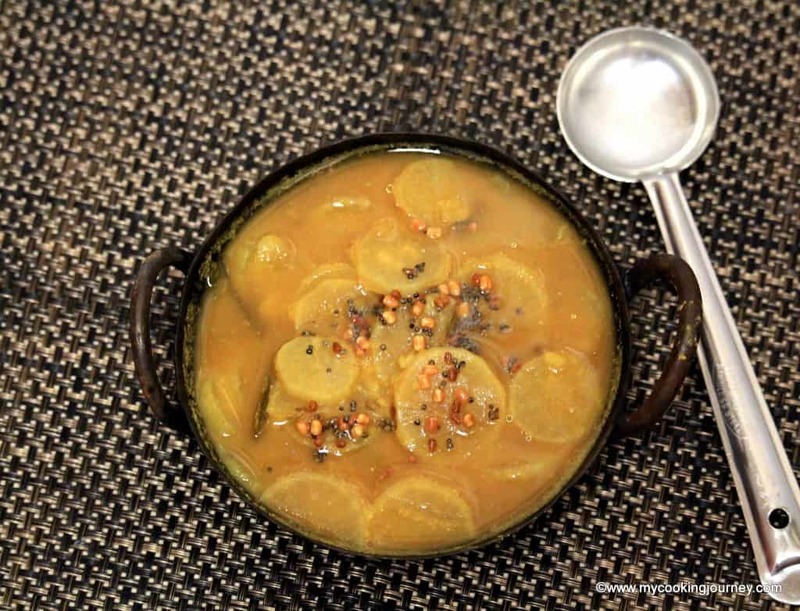 Sambhar is a staple in any Tamil Nadu meals and it just would not feel like lunch if there is no sambhar. 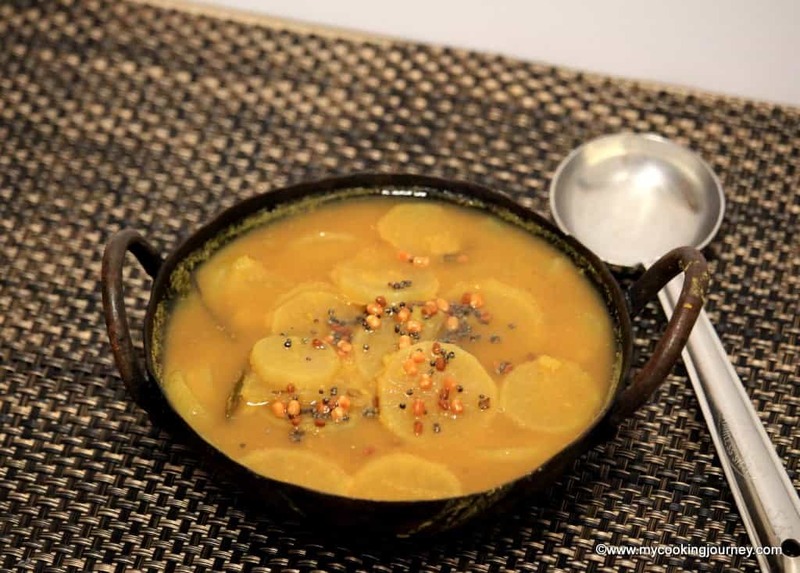 There are few different kinds of sambhar that we make, but this is the simplest of all. 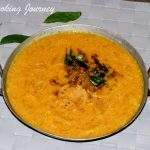 This does not require any coconut and is made with just sambhar powder. Every trip to India definitely means few kilograms of my mother’s flavorful homemade sambhar powder. I brought back the last batch of my mother’s sambhar powder and I am definitely going to be missing her flavor from next time. I jokingly asked my father if he knows how much of each ingredient my mother puts in into the sambhar powder, but we are clueless. 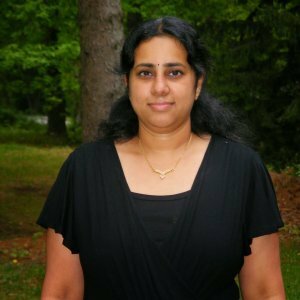 My next trip to India, I am going to try out my aunt’s and Patti’s sambhar powder and get their recipe, so I know how to make it. 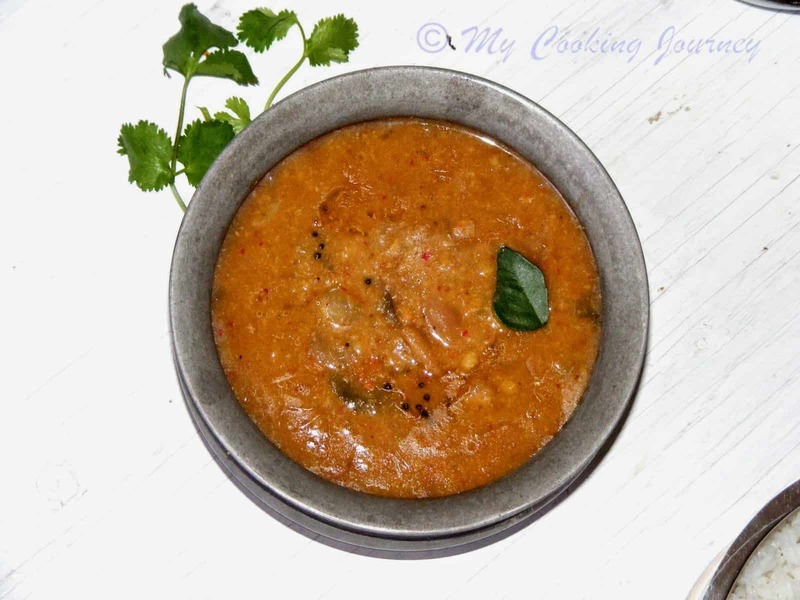 Coming to this Mullangi Sambhar recipe, basically we can use any vegetable. 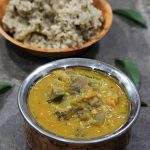 Mullangi or radish is one of the favorite vegetable that my boys love and I have to load up the sambhar with the vegetable. Not that I am complaining as long as they eat. 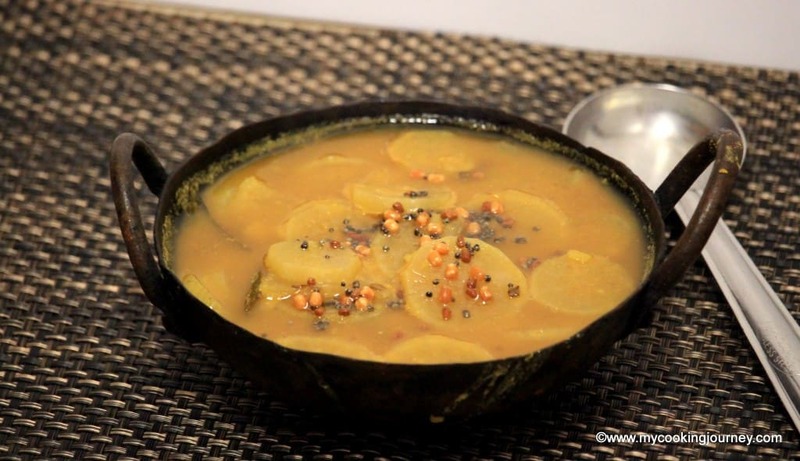 Make sure you buy some tender radish to make this Mullangi Sambhar. 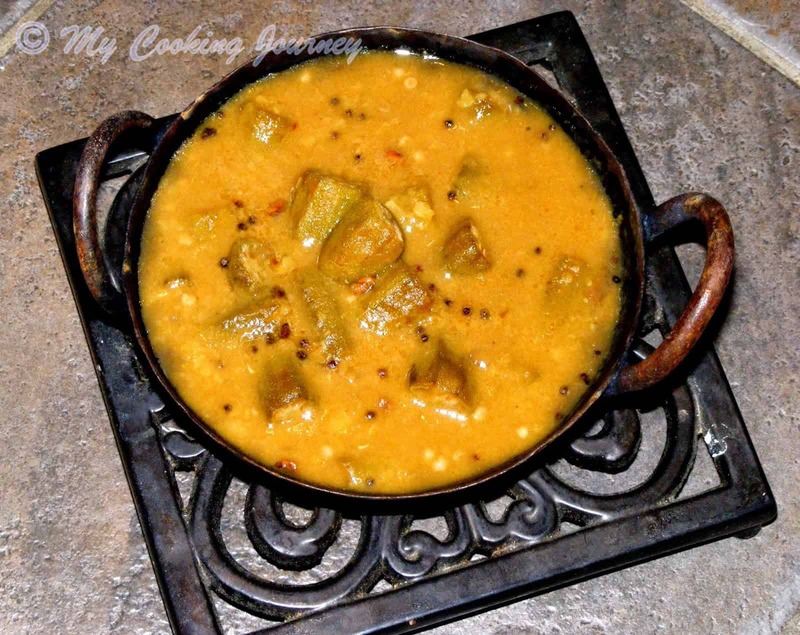 Check out my other version of this sambhar here. 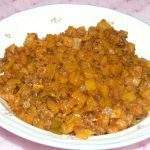 Wash and cook the Tuvaram paruppu / tuvar dal with enough water in a pressure cooker. 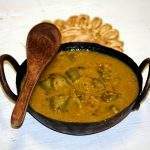 Cook until the dal is very soft and well cooked. Add turmeric powder when cooking the dal. Soak the tamarind in about 2 cups of hot water for about 10 minutes and extract the juice. 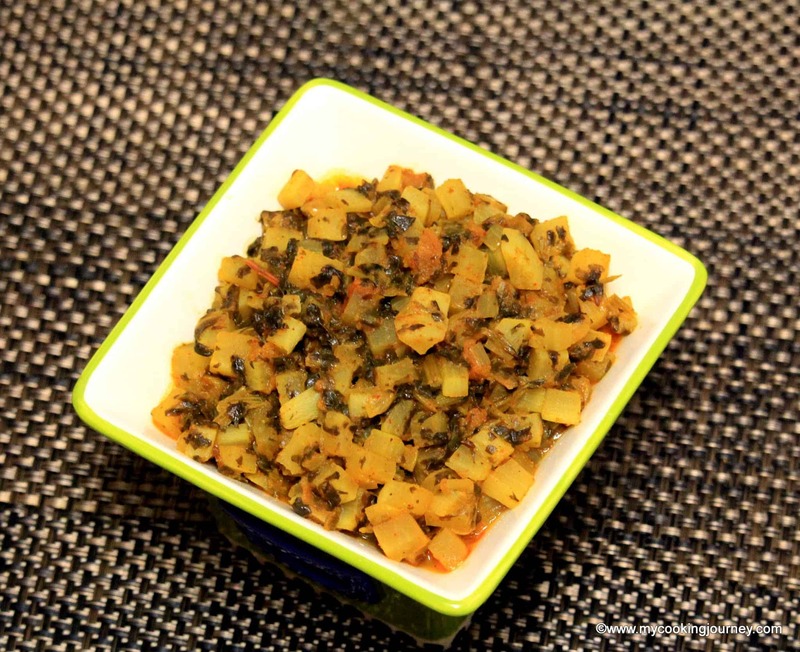 Take the tamarind extract in the vessel and add the chopped mullangi and green chilies. 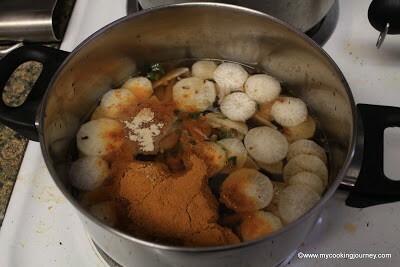 Add the sambhar powder and asafetida and bring it to a boil. Let the sambhar boil until the mullangi cooks. 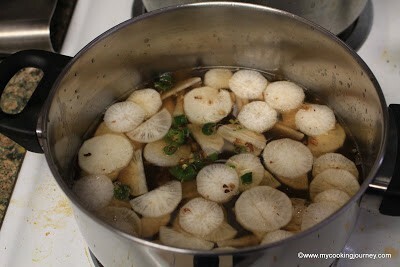 Add salt and curry leaves once the vegetable has cooked. Meantime, mash the cooked dal well and keep it ready. 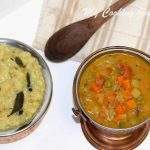 Once the sambhar boils well and the vegetable has cooked, add the mashed dal / paruppu to it. 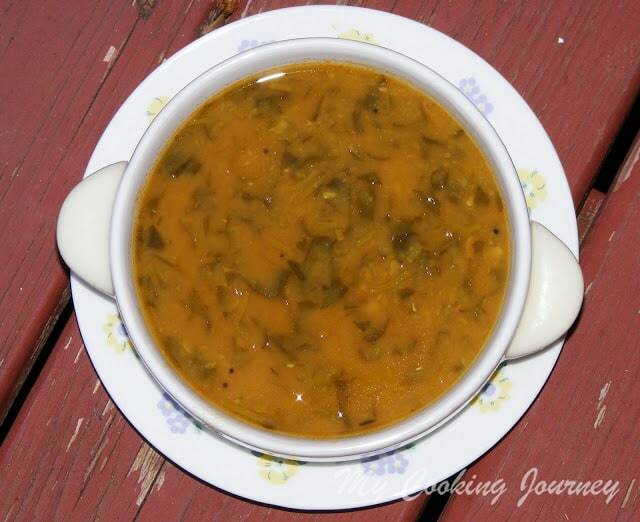 Adjust the consistency of the sambhar by adding more water if needed. Let it come to a gentle boil and then simmer for 5 to 7 more minutes. 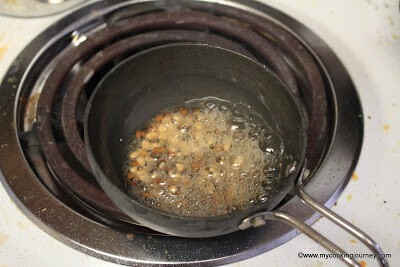 Heat oil in a small pan and add all the ingredients mentioned under seasoning. Add it to the sambhar and mix well. 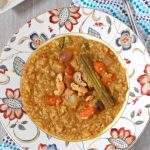 Serve Mullangi Sambhar hot with rice and ghee.